Ott provides an excellent ethnography of a French Basque agrarian and sheepherding community. The commune of Sainte-Engrâce extends along a mountain valley in the southeastern corner of Soule, one of the three Basque provences in France. In The Circle of Mountains, Sandra Ott examines the importance of cooperation and reciprocity as the essential basis for the main institutions within this community. These French Basques visualize their community as a circle, and their vision of living in "the circle of mountians," rather than in a valley, reflects their perspective on the society in which they live. The first half of the book incorporates material on history, ecology and economy, and delves deeply into the domestic organization, kinship, and neighborliness of this Basque community. In the second half of the book, the author introduces the males' customary roles as shepherds and cheesemakers. Following a detailed commentary on these vocations, Ott suggests that these seemingly prosaic activities represent the male attempt at symbolic fulfillment of the female procreative and nurturing roles. 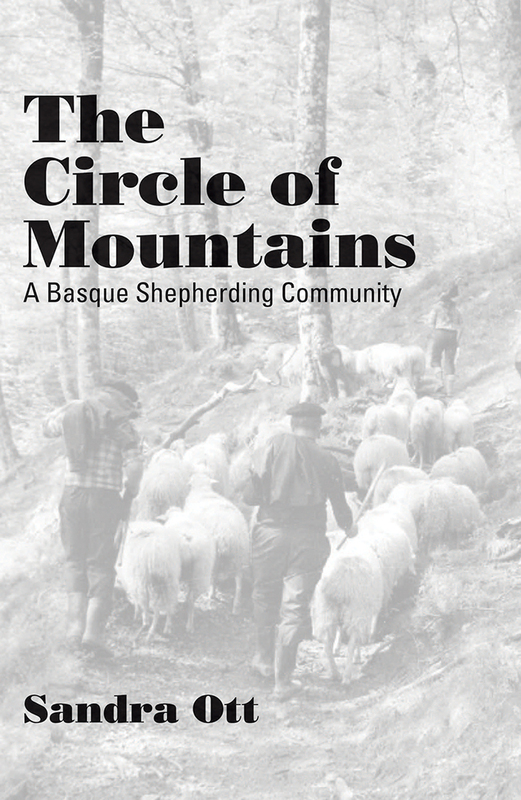 In a new afterword, Ott discusses developments that have impacted life in the pastoral community of Sainte-Engrâce since the original publication of the book—including the acquisition of telephones and the construction of roads to nearly every home.The Circle of Mountains will be of interest not only to social anthropologists but also to those concerned with the Basque language and culture and to scholars and students of ethnology, international studies, and political science. Sandra Ott is an associate professor in the Center for Basque Studies at the University of Nevada, Reno. She received a B.A. in English from Pomona College, and an M.Litt. and a D.Phil. in Social Anthropology from the University of Oxford (Wolfson College). Professor Ott lived in Europe for thirty years before returning to the United States in 2002. Her current research focuses on Basque-German relations (1914-1945) and Basques in the Great War. She teaches undergraduate courses on Basque culture and 20th century wars in France and Spain. Sandra Ott was born in a small, rural town in northwestern Pennsylvania. Her first contact with the Basque people occurred in 1956 when she and her family spent a month on an Arizona dude ranch owned by a Basque family. Her second experience with the Basques took place in 1973, during her senior year at Pomona College when Sandra and a group of friends had lunch in a Basque restaurant, El Centro Vasco, in Chino, CA. She remembers seeing a room full of men at the back of the restaurant; they were playing Basque poker (as she later discovered) and speaking the Basque language. Sandra did not give any further thought to the Basques until 1975, when her husband suggested that she might consider the Basques as the focus of her doctoral research at Oxford University. His suggestion led Sandra to a lifetime involvement with Basques and a deep love for many of them.